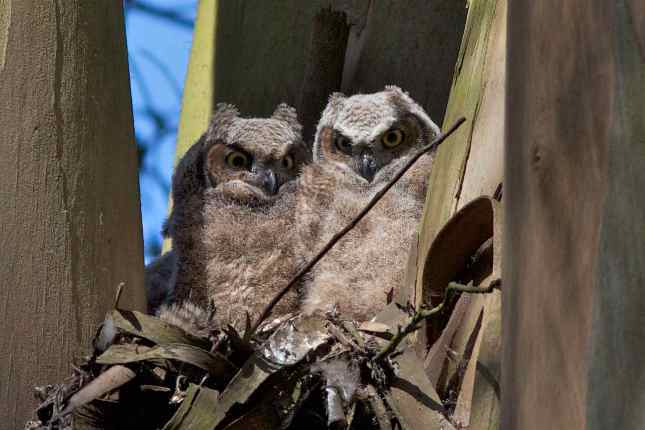 This article has been republished from the website of Save Mount Sutro Forest, with permission. Eucalyptus groves in California provide habitat for as many native species as do most ‘native’ habitats. They grow well at high densities and an average spacing of 8 feet between trees is quite typical. They have relatively high fuel loads, but the cool and damp dense eucalyptus forests reduce the risk of fire. Eucalyptus is subject to few diseases or pests, and parasitic wasps provide pest control. It provides a host of ecosystem services including carbon sequestration, pollution reduction, slope stabilization, windbreaks, wildlife habitat, and recreational value. Dr McBride’s wide-ranging talk covered a lot of ground. He talked about the ecology of the eucalyptus forest in the Bay Area: its structure, the variety of plants and animals that live within it, its health and the ecological functions it performs; the dynamics within these forest stands; and their invasive potential. Eucalyptus was first planted in California during the Gold Rush, possibly for oil to use in gold-mining and in medicine. In the 1870s, eucalyptus planting was encouraged for many objectives: to beautify cities, to improve farmland, as windbreaks, and to dry out swamps to combat malaria. It was grown in woodlots for firewood, but as people switched to natural gas and other fossil fuels this became rare. Later, it was planted for timber – which didn’t work out because the trees were harvested too young; and still later for bio-fuel, which did not become commercially attractive. Eucalyptus beautifies our cities, and helps stabilize soil on steep hills. The surface area of the leaves, broader than those of conifers, help trap particulate pollution. Unlike deciduous trees, the evergreen foliage of eucalyptus removes pollutants all year long. The density of eucalyptus plantations in Bay Area ranges from 150-160 trees per acre to about 1700 trees per acre. (The highest density resulted from a freeze in 1970s: trees were cut down because of the perceived fire hazard, but the trees presumed dead later resprouted.) On Angel Island, the normal density was 8ft spacing (about 680 trees per acre) but it ranged to 30 feet between trees. In the East Bay, 8 ft. x 8 ft. is quite typical eucalyptus plantation density. Left to grow naturally, stands become denser through in-growth, mainly by sprouting and also by sibling establishment. Is management by thinning necessary for the health of the forest, someone asked, and what density is ideal? Dr McBride had seen no examples of stands that could be improved by thinning. Eucalyptus grows well with a high density at an average of 8 ft x 8ft spacing between trees. In Australia and New Zealand no one thins; they just harvest the trees and let them regrow from sprouts. In the US, eucalyptus was not marketable, so there’s no history of managing eucalyptus plantations. Also, until recently there were no diseases or insects. The long-horned borer and the psyllid have now appeared in some places, and thinning is not seen as a solution to these insect problems; they are better controlled by certain predatory wasps. Logging eucalyptus would mean a lot of ground disturbance and erosion. If the logs are removed, the skid trails can destabilize the soil. Contrary to popular belief, eucalyptus forests have as many species (or more!) growing in their understory as do oak woodlands. A 1990 survey in Tilden Park found 38 species in the understory of eucalyptus forests (24 native plants; 14 introduced plants), while the oak woodland had 18 species in understory (14 native plants; 5 introduced plants). Only the riparian woodlands in Murray Park are somewhat richer in species than riparian eucalyptus forest (58 species vs 34). In East Bay eucalyptus forests, California Bay, Coast live oak, poison oak, bedstraw, California blackberry, and chickweed were ubiquitous. The amount of light reaching the ground influences which species can be found in the understory. What about allelopathy? Under experimental conditions, eucalyptus litter inhibited germination and growth of cucumber seeds, so eucalyptus litter may be somewhat allelopathic to some plants. But a study from UC Santa Barbara indicates that if eucalyptus litter is removed, within 2 years there’s no inhibitory effect on other plants germinating. And clearly, it isn’t allelopathic to all the species mentioned earlier. Dr McBride responded: “I have no prejudice against invasive plants. I am an invasive Californian myself.” (There was amused applause.) He continued that each eucalyptus grove is different, so it’s important to look at it on a stand-by-stand basis and measure the fire hazard of eucalyptus plantations against the value of each stand for wildlife habitation, recreation, and wind break functions. In response to a question about whether ivy kills eucalyptus trees, Dr McBride said he has not seen evidence the ivy shades the foliage of eucalyptus trees. He’s seen no evidence of ivy killing eucalyptus, although on Mt. Davidson, he did see ivy growing over trees that had been killed by girdling with an axe or chainsaw. Relative humidity was 5% higher (from the edge to the interior). Shade: Light intensity was 90% lower. Eucalyptus increases the carbon content in the soil compared to grasslands (Zinke et al, 1988). Its fast growth and large size means it sequesters a lot of carbon in its trunk and root systems. Again, contrary to belief, eucalyptus provides a good environment for a wide variety of wildlife. A number of studies demonstrate this. A 1970 study showed many birds make “moderate use” of eucs as habitat and a few birds make “great use” of eucs. (Almost all these species are native.) Birds that make most use: mourning doves; Great Horned Owls, whose range has been extended by CA eucalyptus; Stellar’s jays; yellow-bellied sapsuckers; Allen’s hummingbirds; olive-sided flycatchers; brown creepers; dark-eyed juncos; Audubon warblers. Some reptiles make great use of eucalyptus groves: Southern Alligator lizard and the slender salamander. Among mammals, deer mice make “heavy” use of eucalyptus. Robert Stebbins’ monumental 1978 study on the attractiveness of eucalyptus for habitat in the East Bay found that all species making use of eucalyptus for habitat found eucalyptus about the same as grasslands in attractiveness, but oak/bay woodlands were even more attractive. Monarch butterflies most commonly use eucalyptus trees in state parks. But some of the insects in eucalyptus hurt the trees. One is the eucalyptus long horned borer – but can be controlled by a parasitic wasp. The red gum lerp psyllid is more of a problem in Southern California, which has more red gum. 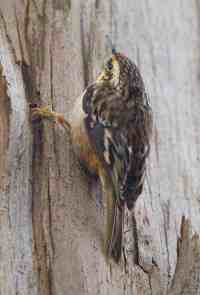 However, it’s part of the food chain: woodpeckers and other bird species feed on their larvae. A study showed that eucalyptus in a riverside environment doesn’t impact species diversity of stream insects or pollution tolerance compared with native riparian environments. Over the next 200-300 years, the eucalyptus forests in the East Bay could gradually – and naturally – shift to oak-bay woodlands. In the East Bay (though not at Mt. Davidson or Mt. Sutro), the eucalyptus plantations have California Coast live oaks and California bay trees in the understory, and they are doing well. The live oaks are “tolerant” of shade and the bays are “very tolerant” of shade. If they aren’t disturbed, the oaks and bays regenerate well in the understory, and being even longer-lived than the eucalyptus trees, they will eventually naturally succeed the eucalyptus. The bay tree is higher in regeneration than the Coast live oak in Tilden Park (McBride, 1990). Eucs support considerable fuel load on the ground because of rapid decay of foliage and shredding of its bark. They have a higher fuel load than California bays or Coast live oaks. They release an aromatic compound that can ignite with sparks, and they burn hot. However, while the tree density of eucalyptus plantations can mean a greater accumulation of fuel in the understory, the higher density means a cooler, wetter understory that might not dry out as fast. Three risk factors in fire risks of any tree: amount of fuel it produces; tissue moisture content; fuel ladder based on presence of other plants in its understory. Under certain circumstances, eucalyptus can spread – for instance, on Angel Island, some stands spread through road cuts and prescribed burns (which destroyed competing vegetation). However, in most cases they don’t: aerial photographs show that boundaries are stable. 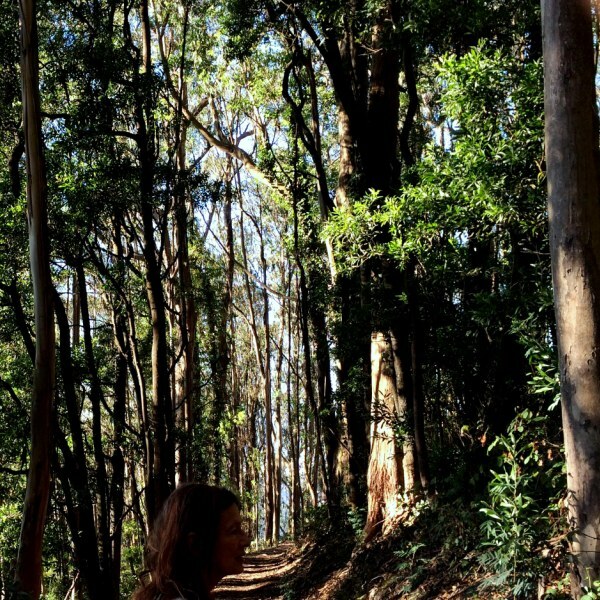 The eucalyptus forests on Mount Davidson and in Tilden Park show stable boundaries. 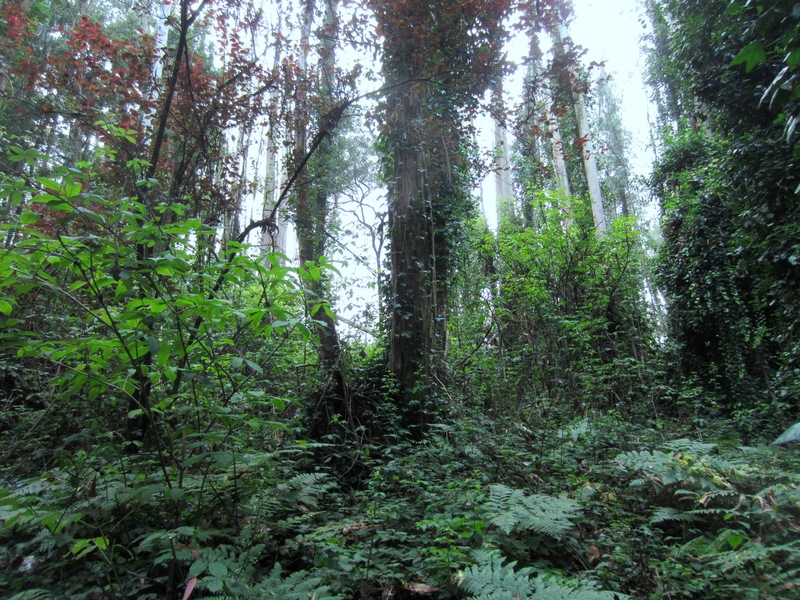 In the Bay Area, Dr McBride found eucalyptus forest area declined between 1939 and 1997. The natural spread hasn’t increased the area of eucalyptus groves. Someone mentioned attending a talk where the speakers said that tree removal would help to replenish aquifers. Was that true? Dr McBride thought it very unlikely; most aquifers are much deeper than tree roots. Someone speaking for people with disabilities owing to chemicals said herbicide use in these areas violated their right to access, and wondered how “environmental” organizations – like the Sierra Club – could support this. Dr McBride sympathized, said he was also concerned about toxic herbicide use. He mentioned that the East Bay tree-felling project is on hold owing to a number of unanswered questions that would need further research. Here are links to his Powerpoint presentation in ppt and pptx formats. I do not live in the area, but if eucalyptus is non-native it does not contribute to the relationships that evolved over millions of years with other native species, most esp. pollinators that depend on highly specific natives as larval “host plants,” and if eucalptus is invasive it actually displaces host plants and destroys these relationships. Eucalyptus is rarely invasive and only in specific circumstances such as when planted along streams that can carry its seeds downstream. The California Invasive Plant Council recently reassessed eucalyptus and said that the predominant species of eucalyptus in California has “low invasive potential” only in specific conditions and that its population in California is stable. 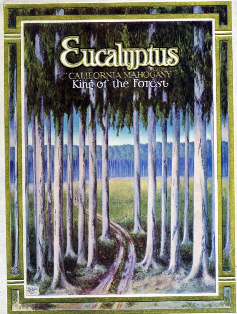 Eucalyptus was planted in California primarily in non-native annual grassland, where there were no trees. There is little evidence that it has displaced native plants. In fact, there are many places in California where eucalyptus shelters populations of rare native plants. There are also many studies that prove the eucalyptus forest contains just as many species of plants and animals as a forest of native trees. Also, surgically precise use of RoundUp is an invaluable tool for invasives removal across the country. In some places, given lack of efficacy of any other methods and shortage of volunteers, it is impossible to restore habitat without it. Webmaster: The California Invasive Plant Council recently conducted a survey of land managers about the methods they use to eradicate plants they consider invasive. Ninety-four percent of land managers reported using herbicides, 10% said they use them “always” and 62% said they use them “frequently.” Although virtually all land managers use glyphosate products (such as Roundup), most also use other, more toxic products as well, such as Garlon with the active ingredient triclopyr. Garlon is required to prevent the resprouting of eucalypts that are cut down. It is far more toxic than glyphosate products. It may contain “as many species” but obviously in less abundance, as the non-natives take up space the native species would. Native species will adapt as best they can to habitat changes and Eucalyptus may not prove totally useless to some, but the ecosystem will be less biodiverse. Webmaster: You are mistaken. Here is a link to one of the studies I referred to earlier: https://milliontrees.me/2011/02/04/biodiversity-another-myth-busted-2/ It used the Shannon-Wiener index to measure “species richness” which is a combination of measuring the number of species and abundance. It found no significant difference in species richness between a native oak woodland and eucalyptus forest with one exception. 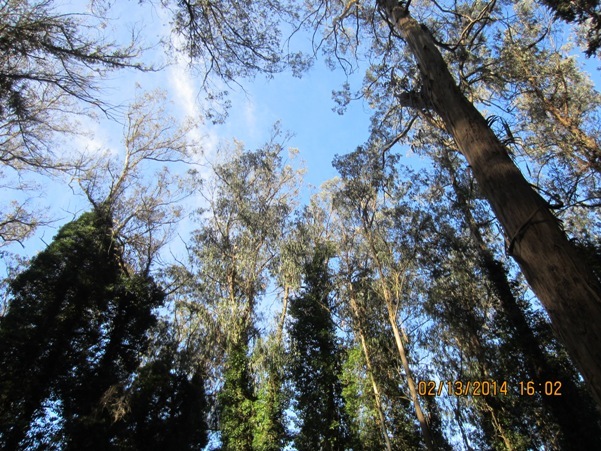 Species richness of invertebrates was greater in the eucalyptus forest in the spring. The author also reports on similar studies conducted all over the world that find the same result. We encourage you to read a few of the nearly 300 articles on this blog to inform yourself of the considerable scientific record that refutes the mistaken assumptions of the native plant ideology. The study I have cited here is one of many. I’m against broadcast spraying of any herbicides or pesticides, but often I find critics of any use of herbicides at all are, ironically, not volunteers who get out and pull or chop down non-native invasives on a regular basis, which would eliminate the justification for herbicide use. Some people should put their muscle where their mouth is. People find time to tool around on a bike or go to a fitness class, but invasives removal can be great exercise that helps nature at the same time. And that makes it good for the soul as well. Webmaster: Since there is no reason to assume that non-native plants threaten native plants in any way, there is no need to eradicate them either with pesticides or by hand. The Million Trees blog encourages everyone to plant whatever they prefer, but to quit destroying everything else in our public lands, which belong to everyone. I volunteer in my local park regularly and have for many years, but I do not destroy plants when doing so. I take no pleasure in destroying plants or animals. gw doesn’t live near eucalyptus, doesn’t know anything about eucaluptus, but he is willing to say Joe McBride is wrong. That is: gw overrules a lifetime of on-the-ground scientific work done by a real expert on eucalyptus forests. gw’s opinion is based solely on ideological myths passed around among native plant enthusiasts. Sooooo typical. Check out slide #20 in the power point version of Professor McBride’s talk, linked in this article. Not only does eucalyptus forest host more plants in their understory than does native oak forest, but eucalyptus hosts more *native* plants. The post under discussion made this clear. 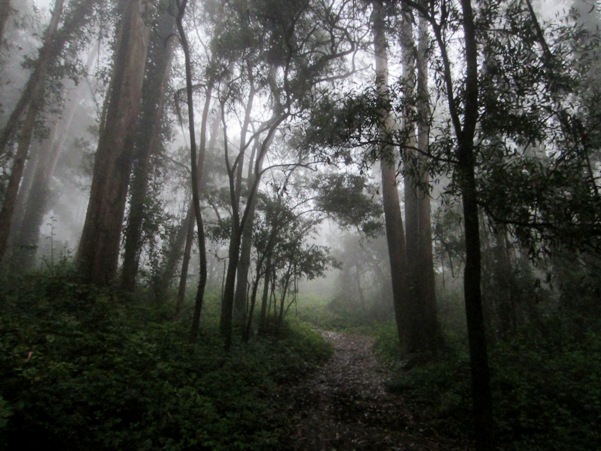 Further, articles elsewhere on this blog present studies that show eucalyptus forest hosts fauna as diverse as that found in native oak forest. Inconvenient truths that just don’t fit into the nativist story. But don’t worry; nativist ideologues aren’t going to let facts on the ground get in the way of their ideology. They will continue to repeat the same myths, ad nauseum. Because to them, their myths are “obvious,” no facts needed. I found reading the comments of most interest. Good rebuttals. The native/non-native argument will never end and the only losers will be everyone and everything. Let what is be. When we run out of plants and animals because of our own ignorance, maybe then the argument will finally become mute. I’m glad you enjoyed reading the debate. Comments are often valuable opportunities to contrast the two very different viewpoints, so we try not to discourage them with sharp rebuttals. Although we work hard to inform the public of the disadvantages of the native plant ideology, we don’t think the debate will resolve the controversy. We believe that climate change will ultimately resolve the issue. In the end, it is a question of what will survive, as you suggest. So you don’t believe non-native plants threaten native species in any way. Like land is unlimited? And maybe you can tell me what you think happens to pollinator species that depend on specific native host plants as larval food. Webmaster: Here are two studies that find no evidence of loss of species richness resulting from the introduction of new species: https://milliontrees.me/2014/08/15/global-increases-in-biodiversity-resulting-from-new-species/ The second study is huge, conducted all over the world in every climate zone, every habitat type, and many species lineages. This is not to say that there are not local losses of abundance that may negatively affect pollinators dependent upon a specific species. However, the cause is not non-native plants. Here are a couple of examples which illustrate the concerns of Million Trees. Many butterflies in California use non-native plants and some are dependent upon those plants. The host plant of the Anise Swallowtail butterfly is non-native fennel which is being eradicated by all managers of public land. If they succeed, that will be the demise of that species of butterfly. Where native plants are in decline, the culprit is very unlikely to be non-native plants. Climate change is the greatest threat to native species and it is one of the reasons why demanding that native species be reintroduced to historical ranges makes less and less sense. If they are no longer adapted to the changed environmental conditions, their return is unsustainable. Destroying large trees storing millions of tons of carbon is contributing to climate change. Therefore, native plant advocates are shooting themselves in the foot by demanding their destruction. It’s really heartening to see discussions like this between ‘gw’, other commenters, and MillionTrees. These kinds of debates are valuable to understanding positions and values. Readers like me appreciate gw for presenting an opposing viewpoint, and Million Trees for detailed and thoughtful responses. It’s easy enough to see how Eucalyptus and other exotic trees benefit native wildlife. Just watch them for awhile, especially in nesting season. Eagles, hawks, and large owls prefer nesting in Eucalyptus. Monarch butterflies need them. So many animals are helped by non-native plants. That will become even more clear when most of our native trees are dead from diseases and infestations that the exotics are resistant to.